Claims for Faulty Work - Are They Covered? Contractors are often sued by customers who allege they performed faulty work. Unfortunately, many faulty work claims aren't covered by a standard general liability policy. If you are a contractor, you should understand what types of claims are likely to be covered by your liability insurance and which are not. Faulty work claims generally derive from complaints about the way a job was done. A plaintiff may allege that the contractor performed the work using inferior materials, the wrong tools, incorrect machinery, or an improper method. Alternatively, the plaintiff may claim that the work doesn't meet industry standards or the quality warranted in the contract. Some claims allege the contractor completed the work but failed to provide adequate instructions or warnings. Pete owns Primo Painting, a commercial painting business. Pete's company has been hired by Ready Realty to paint the interior of an apartment building Ready owns. Pete has signed a contract stating that the apartment walls will be painted a satin finish paint called Snow White. Several of Pete's employees complete the painting work. One month after the work has been completed, Ready Realty complains to Pete about the painting job. Ready contends that Primo's employees performed the work improperly. They used a cheap brand of flat paint rather than the satin paint called for in the contract. They also used the wrong color paint (gray instead of white) and left visible roller marks on the walls. When Pete fails to respond to the realty company's complaint, Ready Realty hires another painting contractor to repaint the apartments. It then sues Primo Painting for breach of contract, citing poor workmanship. The painting company is insured for liability under a standard general liability policy. Pete forwards the lawsuit to his liability insurer, which quickly denies coverage. Pete is stunned. Why isn't the claim covered? For a faulty work claim to be covered under a general liability policy, several requirements must be satisfied. First, the claim must seek damages for bodily injury or property damage that takes place during the policy period and in the coverage territory. In the Primo Painting example outlined above, Ready Realty's suit cites breach of contract based on poor workmanship. It doesn't allege that Primo's poor workmanship has caused any bodily injury or property damage. Thus, the suit isn't covered. Secondly, the alleged bodily injury or property damage must be caused by an occurrence. 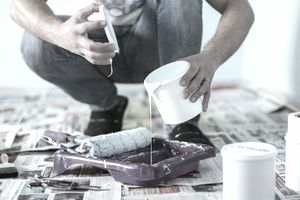 Ready Realty's lawsuit contends that Primo Painting failed to fulfill the terms of its contract. Primo's failure to do what it promised to do is not an accident. As no occurrence has taken place, the suit isn't covered under Primo's liability policy. As a general rule, lawsuits based only on a breach of contract (with no bodily injury or property damage) aren't covered under general liability policies. A liability policy is not a guarantee that your work will be done properly in accordance with a contract. If a project owner requires you to make such a guarantee, you can satisfy that request by purchasing a completion bond. Thirdly, a claim will be covered only if no exclusions apply. A general liability policy contains several exclusions that eliminate coverage for suits arising from your faulty work. These exclusions are complex, and courts don't anyways interpret them in a consistent manner. Here are some basic concepts to keep in mind. These are general rules that may not apply in some circumstances. If your work is faulty, your policy won't cover the cost of redoing it. In the example outlined above, suppose that Ready Realty sues Primo Painting for the cost of hiring another contractor to redo Primo Painting's faulty work. Primo's liability policy won't cover that cost. If you are working on part of a building and accidentally cause damage to the specific part you are working on, your policy won't cover that damage. For example, you are an electrical contractor and have been hired by a property owner to install a new electrical panel. While working on the panel you accidentally start a fire and the panel is destroyed. If the property owner demands compensation for the damage to the panel, your insurer won't cover the loss. If work you have completed sustains property damage, your policy won't cover that damage. For example, suppose you operate a masonry business and have been hired by a homeowner to install a brick wall. Because you used the wrong type of mortar, the brick wall collapses after it is completed. If the homeowner demands that you redo the wall (or pay the cost of hiring another contractor), the claim will not be covered by your liability policy. The exclusions described above generally don't apply if your faulty work causes bodily injury to a third party or damages property other than your work. For instance, in the electrical panel scenario outlined previously, suppose the fire spreads from the panel to an adjacent wall. If the property owner sues you for damage to the wall, the claim should be covered. This is because you have negligently caused damage to property other than the specific part you were working on. Similarly, if damage to your completed work injures a third party or causes damage to other property, that injury or damage should be covered. For instance, suppose you use the wrong type of mortar to build a brick wall. The wall collapses onto the homeowner's car, damaging the vehicle. Your liability policy should cover the damage to the car. In this case, your faulty work caused damage to property other than your completed work (the wall). Damage to work you have completed may be covered if the damaged work was performed on your behalf by a subcontractor. For example, suppose you operate a masonry business and have been hired by a property owner to do extensive brickwork. You hire a subcontractor to construct a brick wall but do all of the remaining work yourself. The subcontractor performs shoddy work, the wall collapses, and the property owner sues you for property damage. Because the wall was not your work, the property damage claim may be covered. Finally, contractors can obtain coverage for some faulty work claims by purchasing contractors errors and omissions coverage. It covers property damage to your work due to your negligence or to errors or omissions you have made. Some insurers will add this coverage to a liability or business owners policy via an endorsement.